Put on a mask and see the world from a different perspective! Samsara is an experience about rediscovering your movement, and the simple human joy of social space. Every mask contains a video screen where you can see yourself live from a distance, creating a surreal out of body experience. People become their own digital alter ego, and walking around feels like being in a real life video game. Furthermore, the anonymity of seeing yourself from a distance makes people search for physical contact, thereby linking the physical and virtual domain. Within Samsara a new social interaction starts to form. You can see each other walking, moving with their hands and try to make contact, first slowly and insecure but quickly turning into a playful social interaction. Samsara is a redesign of our installation 3RD, and especially designed for festivals and other temporary events. 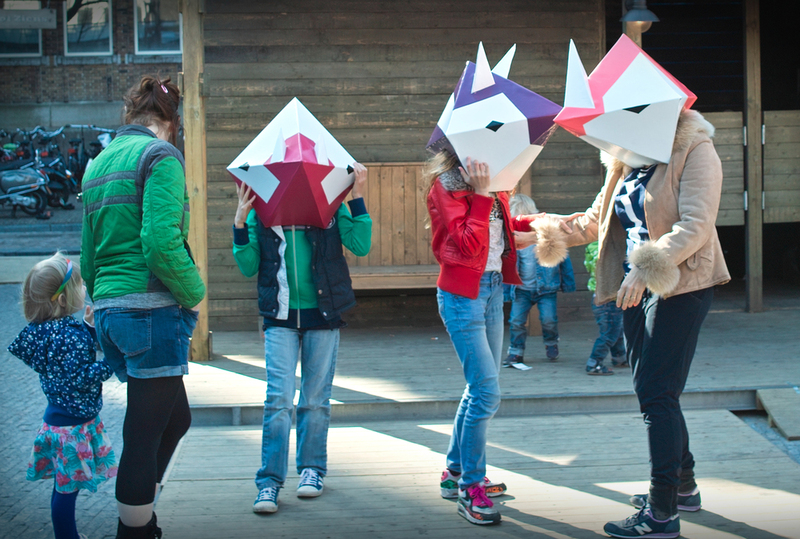 Animal masks made in a collaboration with Esmée Kulik.